I have played clash for over 4 years, during which I spent no money on the game. Progress was slow, and getting all the builders from gems was a pain. I stopped playing for several periods of time, but their new updates and additions kept my attention on the game. 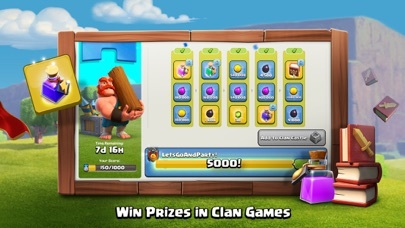 Their recent town hall 12 update along with clan war leagues and clan games have made progression a LOT easier, giving out rewards that allow you to sometimes skip WEEKS of upgrading. The new shortened build times and reduced costs have also helped me save resources and time, in turn allowing for more progress in a shorter amount of time. Currently I am a half-max th10 in Champion III league. Between 2016-2018 there was a large gap of time in which I was very inactive. I stopped Clash and went to Clash Royale, which eventually died out for me and the good-ol Clash of Clans was there with a whole bunch of new juicy content for me to explore. If you want a game that lets you play for months or even years without getting bored, then this is the game. The game devs are always working to produce new content, providing a up to date game that never gets old. This game is very good. I have been playing it for years now, and I still enjoy it. My one problem though is that there is a nice pay to win problem because literally everything is hard to get so people play. Also the gold pass should be gems. 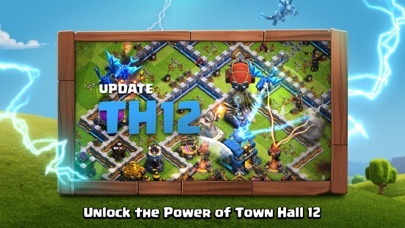 Also townhall 10 should be green. Also townhall 4 should be despacito 2. Also your mom is a LeBron James I’m disguised as a mother of a mother’s mother’s maxed town hall 12. Overall, Chile’s is better than Moe’s. Case closed. 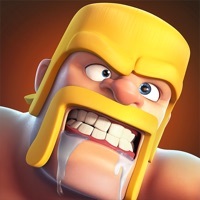 Hello supercell, I have been playing this game for nearly 6 years and I would really appreciate it if my heroes looked like they used to. The new update made the heroes look out of place and I really dislike it. They look like they come from an old school video game, and their movements are not the same as before. To me, instead of improving my gaming experience, it made it worse as I can’t stand how atrocious they currently look. I like how there are going to be skins and stuff but please fix how they look, as they looked much better before the update. Can you guys please add more builder huts.. I have 5 now And my resources just keep getting full.. I love this game so much and I have for about 9 months now, and the game is amazing. But from all these months playing it I have realized one of my major issue. This may just be me cause I am very impatient, but in my opinion upgrading has a ridiculous amount of time to it. I spend a lot of time in this game attacking and getting resources to upgrade my Cannons, Archers and Morters to protect my base and when upgrading I see that it takes around 2-3 days to finish the upgrade. And I know this might sound a little bit ridiculous but I spend most of my time gaming and this is one of my most favorite games that I look forward to play a lot. 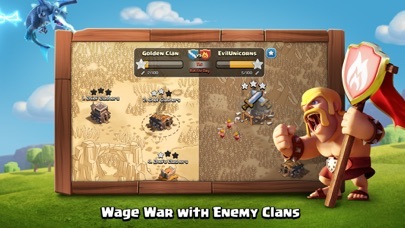 Other than this, this game is amazing and very addictive involving strategy and tactics with your troops to fight in clan wars and fight against people to gain trophies and resources. I definitely recommend getting this game just remember, this game is lots of fun very addicting and a REAL grind! They now release a new mini game where you can play to unlock skins and other prizes. But you can’t earn the good stuff. You can only buy the skin and other items. There is no point on playing the new challenges, unless you want to buy all the good perks. Very disappointed. Been playing for 5+ years, never had any major complaints. Updates take time, and everyone must know the standard Supercell holds itself to. Only thing the best games come from people with no Adds thanks! I started playing this game with in the last year and I love it. I do have one complaint though. The most recent update makes the hero’s look too animated when they move y’all should fix this. I love the game and I was just playing and thought of you he idea of merging. I don’t know how you would do it but if you like could merge troops I thought that would be really cool. I also love the way of the play style. This game is very competitive and fun to play. It also allows you to chat with your friends which I love. Also, the friendly challenges are very useful to strategize your attacks. I love this game!!!!!!!!!!!!! So this is an amazing game of strategy. The game itself I love but I was going through the national flags and there was no Mexican flag 🇲🇽... so this is why I gave you guys one star. Just add the Mexican flag and I’ll give you 5 stars it’s just that one national flag. I think it would be very cool and useful if players were able to attack their own bases. Maybe add that into the game? This app is a total waste of time, while SuperCell does anything and everything to steal your money. Don’t waste any time with this game. It’ll send you a notification telling you you’re ready to fight and my troops await and they are all ready yet there not so I go into battle not checking them and die and lose because of a lie but other than that great game!!!! 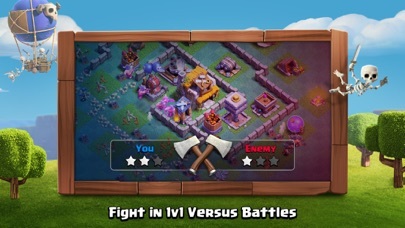 This sounds crazy but i dont think you should be attacked based on trophies i have advanced beyond my level and i have to deal with very high level players but players with the same trophies attack me with things too powerful for my defenses they tear them like butter and what can i do i am stuck with attacking higher level players and being attacked by also very high level players its not fun like this. I have played the game since before town hall 11, and I can say that it’s a lot easier now than it was. But the troop AI is starting to be bugged, and so is the hero AI, also right when I pressed Attack for the Cwl, my game crashed, no reason, and it wasn’t my internet, also it was right during the time of a x5 war win bonus. So unless I get my million gold and elixir and 5k dark elixir there’s a problem. The game getting easier is good for the lower town halls, and the graphics are improving, but the glitches and bugs, and the AI is getting worse. Please fix it or I am done with the game. Also, I was in an attack, balloons came out of the clan castle and I thought, “It’s fine I have wizards” but the wizards didn’t target the balloons while the balloons wiped out my army, my wizards were 2 tiles away from the balloons. And, I also trained 3 rage spells, it took my loot, but the rage spells disappeared for no reason. Please fix the game or else me and a lot of others might quit. Listen to the community because it will make the game better and more enjoyable to others.P.S. 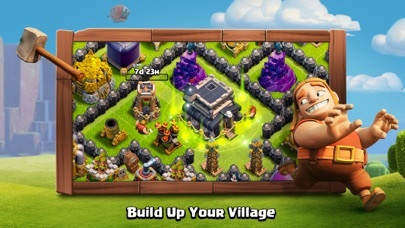 Make the Season Pass available to be bought for gems, and make all walls available to be upgraded with elixir? 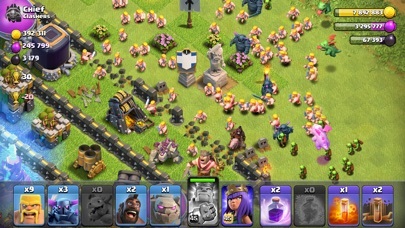 I love clash of clans so inspired 56 people to play it! Mainly the same thing with most of these kinds of games, game gets impossible when you get farther in, because it slows down to the point where you basically have to buy green gems. But if you have the patience it is a super fun game. Your children will be exposed to an unending stream of verbal abuse while using supercell games. Do the right thing for your kids and steer them elsewhere. We did. You should too. The new graphics for the Barbarian King and Queen look so bad! It doesn’t look like it’s from the game. I have played coc for a long time and I am addicted to it. I even got my mom to play it and she was addicted. I play every day and I progress so much. But, soon I became a rushed player but I still have fun. everything that I have is rushed except some of my normal elixer troops. I suggest this game to everyone. The reason why I put 3 stars is because it’s a little bit of a challenge to do anything it’s really a wait and see what will happen tbh.